Joele Frank is working with Men's Wearhouse as it takes over Jos. A. Bank in a deal that will create the fourth-largest men's apparel retailer in the country. FREMONT, CA: Joele Frank Wilkinson Brimmer Katcher is handling communications for The Men’s Wearhouse in its $1.8 billion acquisition of Jos. A. Bank Clothiers. Kekst and Company is aiding Jos. A. Bank with communications for the deal, which was announced on Tuesday. Neither agency was able to share how the acquisition will affect the comms structure at either company, or the combined group after the deal closes. "As Men’s Wearhouse is the acquirer, they are in control of how the structure will look," said Ross Lovern, an analyst at Kekst. "Since the deal came together so quickly, the integration plan is still in its young stages." Kekst is the only PR firm working with Jos. A. Bank on communications for the deal. A representative from Joele Frank was unable to confirm if other PR firms are working with Men’s Wearhouse or comment on the strategy for the deal. Jos. A. Bank will retain its name after the acquisition. With more than 1,700 stores in the US and approximately 23,000 employees, the combined company will be the fourth-largest men’s apparel retailer in the country, following Macy's, Kohl's, and JC Penney. The acquisition will maximize the companies’ merchandise offerings and store locations, they said in a statement. The deal is expected to close in the third quarter, and it may take months to see how it will affect Jos. A. Bank’s nearly 800 staffers in its Maryland headquarters. The deal breaks another agreement Jos. A. Bank announced last month to purchase Eddie Bauer for about $825 million. Jos. A. Bank will pay a $48 million fee to Eddie Bauer's parent company due to the cancellation. The takeover talks began in the fall, when Jos. A. Bank made an unsolicited offer of $48 a share to buy Men's Wearhouse, which the company rejected and countered with its own to purchase Jos. A. Bank for $55 a share. In February, Men's Wearhouse raised its bid to $63.50 a share. The combined company’s annual revenue is expected to be approximately $3.5 billion. 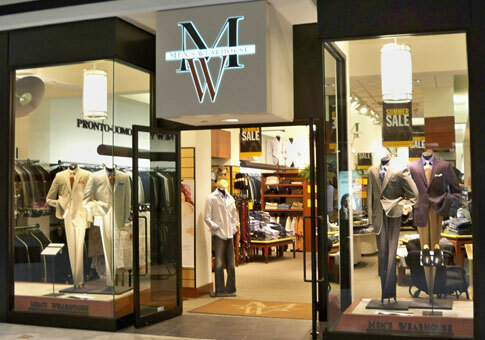 Net sales for Men’s Wearhouse in its fiscal 2013 decreased 7.9% to $560.6 million. Jos. A. Bank’s revenue in the fourth quarter was $247.50 million, up 6.3% year-over-year.